Rio Grande Books, 9781936744398, 54pp. Did you know bullies can hurt dogs too? This is the story of a puppy named Frank who lived on Bad Alley. 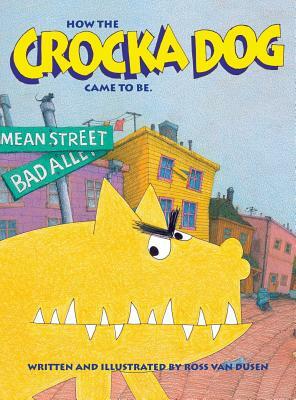 When Frank is abused he turns into Crocka Dog and things get ugly. Elwood, just a boy, shows Frank love and affection. Crocka Dog changes and shows us all that just a little kindness can do wonders. Ross Van Dusen is an artist in the North Valley of Albuquerque. This is the first in the series of Crocka Dog books. The books are beautifully illustrated and will entertain and teach children and adults for many years.